Sandra Calamano, 48, the school's deputy principal and, Rubén Orlando Rodríguez, 45, a teacher's assistant, were killed Thursday during a gas explosion at a public school in Moreno. An issue with the supply of gas to the kitchen area of a public school in Buenos Aires where an explosion on Thursday killed two staff members had been reported at least eight time to provincial authorities, the school's principal said. "We sent many complaints about the situation. They would take a week to come and check. It's an embarrassment. No provincial school offers the necessary conditions to give classes", the school's principal Héctor Vizio told reporters. Vizio has been on leave as principal since earlier in the year, after he was shot at the entrance of the school. 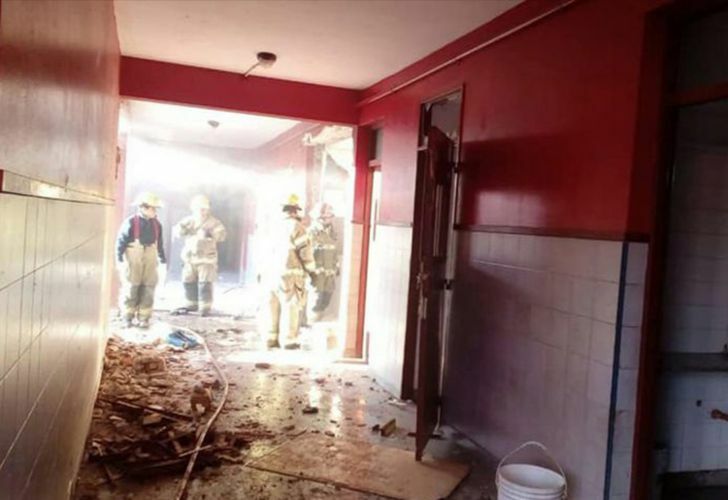 The explosion happened at Public School 49 in the Greater Buenos Aires district of Moreno at 7am Thursday morning. Moreno is governed by a Peronist mayor linked to former president Cristina Fernandez de Kirchner, Wálter Festa. The district's school board has been intervened since late 2017 and is controlled entirely by public officials linked to Governor María Eugenia Vidal. The fatal victims have been identified as Sandra Calamano, 48, the school's deputy principal and, Rubén Orlando Rodríguez, 45, a teacher's assistant. "She died for the kids. She was at the school because she did not want the kids to go without food, she was preparing their breakfast", a teacher named Debora told the press, referring to the deputy principal. "Our school is like a family. We spend eight ours here. It's not fair for them to say we hold the kids hostage, while they force us to work in these conditions", she added. Teachers in Buenos Aires province are engaged in ongoing collective wage bargaining talks with the Vidal government. Governor Vidal participated in a rally with President Mauricio Macri in Quilmes on Friday but neither made any mention of the deaths.